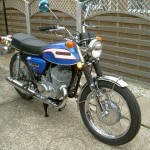 Restored 1973 Suzuki T500 Titan Motorcycle. 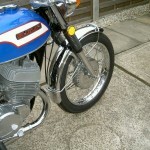 This Suzuki has undergone a full restoration. 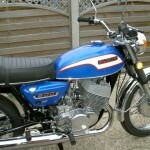 The tank and side panels were professionally re-sprayed in Conorado Blue. 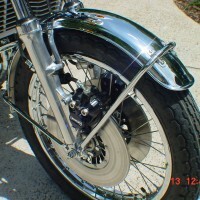 All of the chrome work was professionally re-chromed. 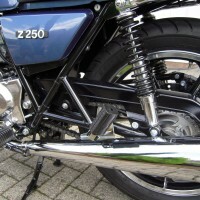 The engine was stripped and completely reconditioned including the crankshaft. The heads, barrels and casings were vapour cleaned. 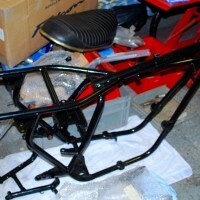 The wheel hubs were vapour blasted. 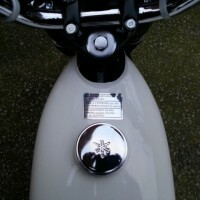 A new front mudguard was used. 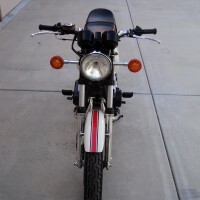 A really great restored Suzuki T500 Motorcycle. 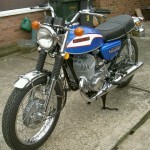 Suzuki T500 Titan – 1973 For Sale or Wanted? 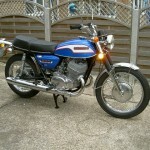 If you're looking for the perfect Suzuki T500 Titan – 1973 for sale then take a look at the hundreds of restored classic motorcycles listed on our extensive Motorcycles For Sale pages. 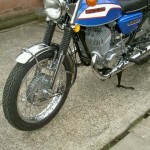 We regularly feature very nice restored Suzuki T500 Titan – 1973 bikes for sale. 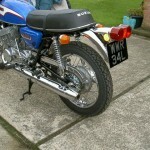 Spares and Parts for your Suzuki T500 Titan – 1973? 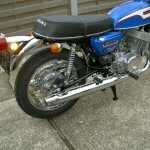 Workshop Manual for your Suzuki T500 Titan – 1973?